We meet in the lobby of the Marriott Waterfront and hit the pavement. I'm with Dr. Roger Blakeley of Auckland, New Zealand. We stroll down to Tom McCall Waterfront Park, seat ourselves on a bench overlooking the Willamette and open a window into the street level experience of Portland. 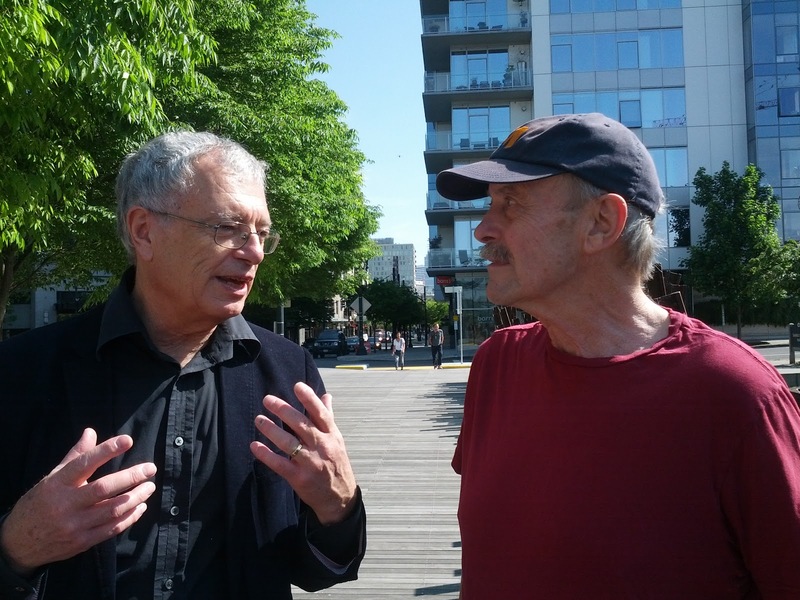 After a quick intro about our interests and concerns, we walk south along the river towards the South Waterfront District, enjoying the teeming life and vitality of the park and the activity along the boardwalk on a beautiful, sunny day in May. Perfect Portland spring weather. In 2010, the Auckland region boldly merged all of their local governments into a single entity, The Auckland Council. Roger Blakeley is the Chief Planning Officer on the council, and one of his main roles is to develop a 30-year “Auckland Plan” before the end of the year. This is a visioning plan, similar to Metro's 2040 Concept Plan, that will guide future development for Auckland. We stop at the west bank termination of the new Tillikum Crossing, the new transit bridge going in just south of downtown that will allow light rail, streetcar, bicycle and pedestrian traffic, but no cars--the only one of its kind in the US! 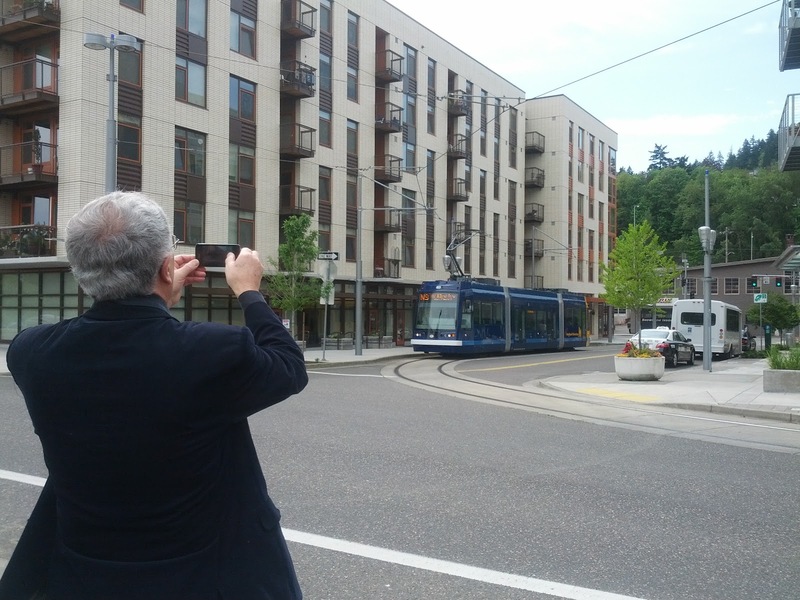 Roaming through the South Waterfront neighborhood, we show Roger the direction Portland is trying to go with its development: emphasizing mixed-use buildings, high-density neighborhoods, high connectivity with public transit, and a commitment to livability and sustainability. We catch the streetcar from the South Waterfront District and take a leisurely trip through downtown Portland to the Pearl District. Stepping off the crowded car into Jamison Square, we find it full of Portlanders out to enjoy the sun. We head down the boardwalk to Tanner Springs to show him the daylighted stream. While we are talking, Neilson Abell, one of the earliest investors in the Pearl District, ambles by with his cute little dog. He stops to greet us, and once introduced to Roger, graciously shares a quick history of the district. Neilson and his wife came to Portland from New York City in the late 80s, moving into one of the old warehouse buildings in the Pearl. He laughs about how terrible it was in the early years when they were some of the only people living up here, surrounded by rail yards and decrepit industrial buildings. Looking around it is hard to imagine the Pearl as he describes it. Today this neighborhood is a development Cinderella story and an example of Portland's use of urban renewal districts (URAs) as an tool for revitalization. Roger was really interested in how we operated our URAs and used tax increment financing to reinvest tax revenues from within the URA back into the area to further redevelopment within the boundaries. The Pearl District has been extremely successful at using this extra funding to spur development, prosperity, and livability. We sit in the window enjoying our cones and the late afternoon sun streaming over Forest Park. Our conversation turns back to why Roger was in Portland in the first place. "I wanted to stop by the most progressive cities in N. America while I'm here," Roger replies. 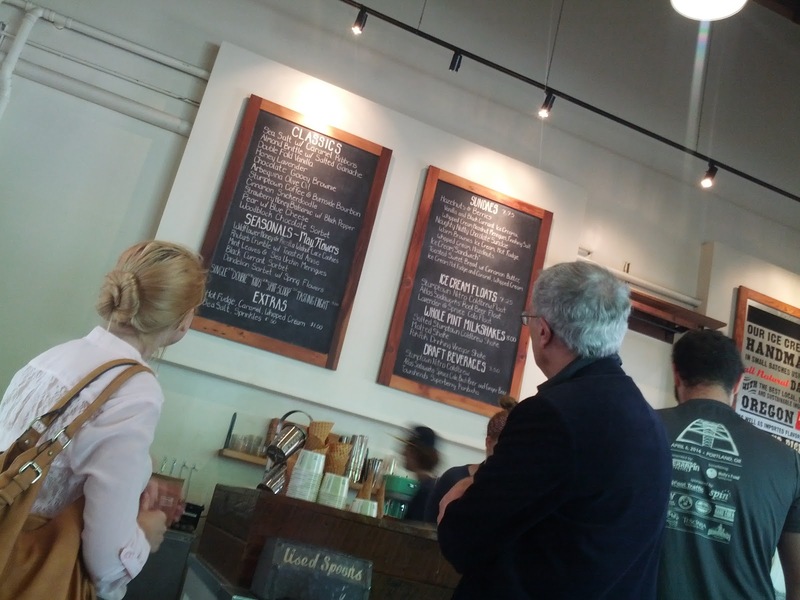 "Portland has a very good reputation globally as a livable city. But your reputation as an innovative, sustainable city in some ways is larger than your actual activities.... In Toronto, I counted 27 cranes in the sky, only four of them office towers." Do you have that same level of demand for urban housing here in Portland, he wondered. When pressed to comment what he would focus on if he were at Portland's helm, he offered that we're on the right track in many ways (regional governance, transit service, green infrastructure, civic engagement) but that there's plenty of unfinished business left to be done, growing our knowledge economy, maintaining a supply of affordable workforce housing, and continuing to expand transportation infrastructure while maintaining core services. But he's chagrined that we haven't made more progress: "Twenty years later, and we still arguing with climate change deniers." National governments aren't doing what's necessary, he explains. The conversation now is that same as it was then, except for the new emphasis on adapting for climate change instead of on ways to prevent it. He seems concerned about this trend, fearing that cities and governments are giving up on decreasing emissions and are focusing their efforts too exclusively around adapting their cities to the expected changes. “We need both,” he says firmly. And in his estimation, progressive cities, like Portland and Auckland, will be leading the way.